Make quality hooked rugs with the punch needle method of rug hooking. The size #9 Regular needle forms a 3/8" loop. 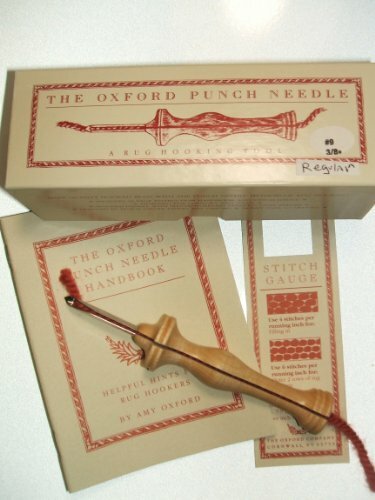 The regular needle can be used with heavy 3-ply rug yarn and bulky weight knitting yarn. You can also double, triple, and quadruple finer yarns and thread them through the needle at the same time. 1/4" wide strips of fabric also work beautifully in the regular needle (also known as 8/32" or #8 cuts). View More In Latch Hook.